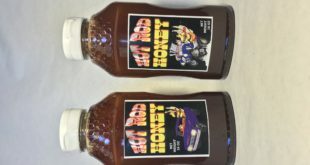 Sweet Heat: Spice Things Up With Hot Rod Honey! 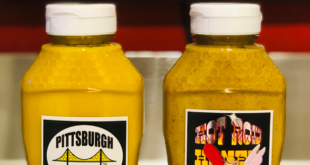 Columbus, OH— Condado Taqueria, an award-wining restaurant offering build-your-own tacos with fresh ingredients from a scratch kitchen will open its first Pittsburgh location at 971 Liberty Ave in the Cultural Business District in early spring. The 160-seat restaurant allows guests to custom order their tacos with choices of corn, flour or creative double decker shells, proteins, cheeses, fresh vegetables, salsas and sauces from its scratch kitchen. An impressive margarita menu as well as extensive whiskey and tequila choices and a variety of craft beers on tap complement the food served at Condado. Condado Taqueria hails from Columbus, Ohio where, in only two years of operation, it has opened two restaurants (a third is scheduled for May 2017) and earned numerous awards including Best Taco by Columbus Alive, Best Cheap Eats by Columbus Underground and #2 Taco in the State by Only In Your State. According to Kahn, Condado offers numerous choices to guests following vegan, vegetarian and gluten free diets. Condado Pittsburgh will occupy the space previously occupied by Tonic Bar and Grille. Condado Pittsburgh will allow guests to custom order their tacos through a chit system (sample below) enabling diners thousands of taco options. The décor will be comprised of Condado’s signature repurposed church pews and iconic artwork by Ohio’s Finko Creative. Condado Pittsburgh is planning to add a rooftop deck for outdoor dining this summer. Kahn said that Condado will take possession of the space in early January and is planning a March opening. Condado’s signature happy hour with ½ priced margaritas and $1.00 off tacos will be available Monday-Friday from 4-7 pm and a weekend brunch with special build-your-own brunch tacos will be offered 12-3 p.m.
Condado Taqueria is an award-winning restaurant concept founded in Columbus, Ohio that offers build-your-own tacos with traditional and unique ingredients from its scratch kitchen. House made tortilla chips, quesos and guacamole margaritas and craft beers complement the one-of-a-kind tacos. 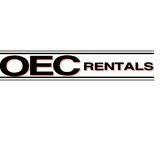 Additional information is available at www.condadotacos.com.